A few weeks ago we loaded up with Hoots Snacks and headed to Langlands Garden Centre’s first Food and Garden Festival. The event brought together over 50 of Yorkshire’s finest food and drink producers for customers to try and buy a wide range of delicious products. Also in attendance were the Yorkshire Wolds Cookery School and renowned Yorkshire chefs and cooks demonstrating many innovative and inspiring dishes. 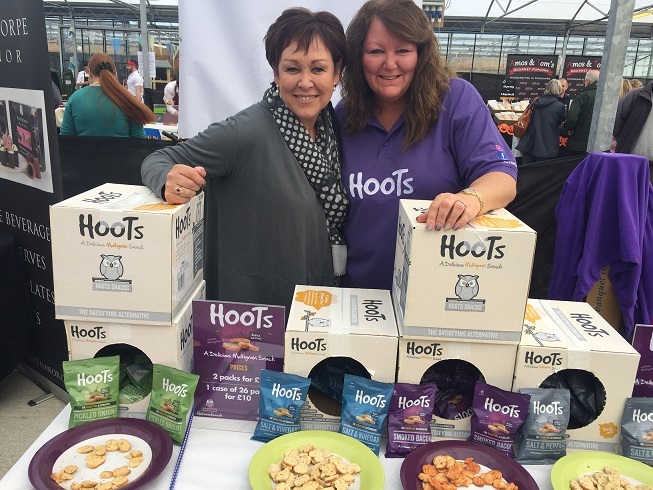 For us, it was a chance to show off Hoots Snacks as a tasty alternative to traditional potato crisps, offering consumers something a little different to snack on. Being made and sold in Yorkshire is something we are extremely proud of and it was endearing to be part of such a positive community of artisan food producers. Our next event will be at the Great Yorkshire Vegan Festival taking place at Leeds Town Hall on Sunday 27th November 2016.